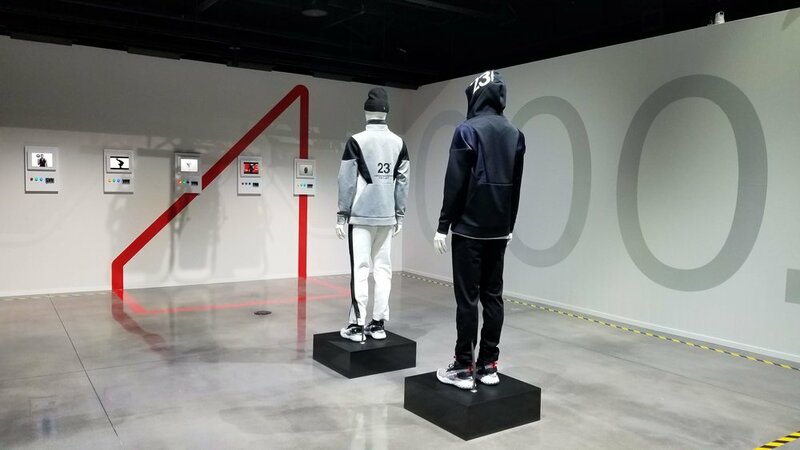 For the reveal of Jordan Brand’s AJXXXIII shoe last fall, we transformed the new Jordan Flagship retail location in downtown LA into an unforgettable launch experience for exclusive media attendees. The Jordan Brand introduced innovative footwear technology inspired by space exploration. 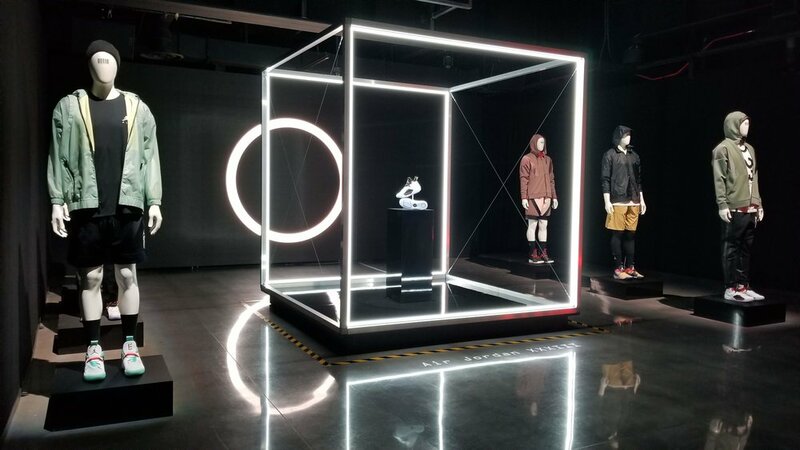 We were tasked with creating an environment showcasing their advances in footwear technology and research into cutting edge sports science equipment. Attendees were led on a private journey to explore the futuristic Jordan space lab concept and to try on the newest footwear technology, getting a first-hand experience of the latest in training and physical therapy research. The journey was guided by recordings of Michael Jordan’s own voice, and culminated in an exciting high-speed curtain drop reveal of the ground breaking AJXXXIII shoe. Our team provided overall technical design of the space, created custom video content, and the audio and lighting design. Our project management team ran the live show, queuing the timing for the reveals and progression through the attendees journey. Our scenic team created space curtains from metallic fabric and mylar, and fabricated many custom fixtures designed to create a space laboratory setting.